This first appeared in the May 2013 issue of Campus Firewatch. There is little doubt in anyone’s mind that reaching anyone with fire safety messages is a challenge, but even more so when it comes to college students. They are a highly sought-after demographic because of their disposable income, so they are continually bombarded with advertisements and messages. Also, this is a time when their buying habits start to firm up, which is one of the reasons that credit card companies heavily court them. The credit card they get in college may very well be the credit card that they carry with them after graduation when they are starting to make significant purchases. Given the extensive amount of marketing efforts that are put into reaching out to students, are any of these strategies that could be used in fire safety marketing? Much of the fire safety marketing done (students or not) seems to rely on some of the more traditional methods of brochures, press releases, interviews on the 6:00 news. Some departments are using social media outlets such as Twitter, Facebook, Instagram and others, but the real question is just how effective is all of this? What is the best way to reach students or, is there even a “best” way? Barnes and Noble, which has a large presence in the college bookstore market, recently released the 2012 College Marketing Report which contains some interesting findings. What it comes down to is a comprehensive strategy. A comprehensive strategy involves analyzing your market and looking where the students are getting their information. It is vitally important to not rely on just one channel (such as Facebook, for example) for getting the information out there, but using a blend of different channels (student newspaper, Facebook, student ambassadors, for example). In addition, for more effectiveness, the messages on each channel should not be identical ones, but tailored. By offering something exclusive on one channel, it can help drive traffic to that channel and can be mentioned in the other channels. With the door-to-door campaign by the inspectors, DCRA found they were only getting into about 15 or 20 percent of the homes by using their legal authority. When Rupert came on board, they launched a campaign to make the inspectors a “brand,” more recognizable as someone who is there to help, not an authority figure. One of the first steps was creating a blog called “This Should Be Illegal” (while not being updated, the blog is still online). Timing is important as well when developing a campaign. In the aftermath of a tragic incident, this is a key opportunity to press home the fire safety messages. This window of time, however, might be very limited in some cases. Webster feels that it may be as short as two weeks, in some cases, because of the fast pace of social media in student’s lives. It is also important to have recurring, but different, messages throughout the school year that can focus on different fire safety issues. For example, September can start with an overarching theme of fire safety, since it is national Campus Fire Safety Month. But then, over the course of the school year, additional campaigns can be launched that look at cooking fire safety (a leading cause of residence hall fire alarms and the leading cause of residential fires), smoking (leading cause of fatal fires), heating (which is especially problematic in older, off-campus housing) or porch and deck fires involving overstuffed furniture (an emerging problem in off-campus housing). Two recent examples of this that Webster referred to were two recent commercials by K-Mart that are being shown (for now) exclusively online, “Ship my pants” and “Big gas savings”. Within 1 day, the Big-Gas Savings video has had 1.5 million views and the Ship My Pants video has had 17.5 million views in six weeks. These are great examples of not only a humorous twist on phrases, but a video style that is counter to the traditional view of K-Mart as the stodgy store that your grandparents shop in. Another part of crafting the message is realizing that you know so much more about fire safety than your audience does, and much more than they really will care about. You suffer from what the Heath brothers refer to as the “Curse of Knowledge” in their landmark book, “Made to Stick,” Message triage is so vitally important. You cannot tell the audience everything they need to know to be fire safe. The Heaths stress the importance of finding the core of your message. “The hard part is weeding out ideas that may be really important, but just aren’t the most important idea.” They go on to tell the story of President Clinton’s 1992 campaign where he wanted to talk, in depth, about the economy. His advisors stressed message triage. “If you say three things, you don’t say anything.” So often I read well-intentioned press releases by fire departments or schools that have a long (long…) laundry list of what students need to do to stay safe. Yes, they are all important, but by listing two dozen items, they essentially have listed none because they probably lost their audience. The message should be crafted in a way that the students can digest it. Does your fire safety page have a long list of information about fire safety? Are there PDFs for them to download and read? Brochures that they can print out? The first question is, why would they go to your environmental health and safety web site? The second thing to ask is, are they REALLY going to read your PDF on dormitory rules and regulations? While it is really important information, is it getting into the students? The core of the book “Made to Stick” by Chip and Dan Heath is the acronym “SUCCESs” (no, it isn’t a typo), which stands for Simple, Unexpected, Concrete, Credible, Emotional and Story. Simple The messages that are delivered should be simple ones, reduced down to the core. During then-candidate Bill Clinton’s 1992 Presidential campaign, James Carville struggled to pare down the messages that Clinton was delivering. One of his famous quotes was “If you say three things, you don’t say anything.” In other words, you have to reduce your message to a simple one, to the core and make it compact. Think of the word “proverbs” when creating your message. Concrete “Abstraction makes it harder to understand an idea and to remember it.” This is especially true when experts are talking with novices. Perhaps a scientist can communicate with his or her peers in abstract concepts, but when talking with someone who is not knowledgeable in the subject matter, it is critical to talk using concrete examples that can be easily understood and grasped. This is not to say that it should be “dumbed down.” We all suffer from what the authors referred to as the “Curse of Knowledge.” We KNOW what people should be doing to protect themselves. We KNOW they should live in sprinklered housing, install smoke alarms, use candles safely, etc. Why in the world DON’T they? In this chapter is an eye-opening, but simple, exercise that will explain why people don’t understand what we see as something so painfully obvious (I’m not going to tell you what it is…read the book!). Credible This is the concept of having a credible spokesperson or source deliver the message. It doesn’t always have to be a famous person, or a rock star, or a television personality. It has to be someone with instant credibility, such as someone who has endured the loss of a child or been through a fire and survived. The credibility of the person transfers to the credibility of the message being delivered. This is reinforced by results of student focus groups conducted by Campus Firewatch and the People’s Burn Foundation as part of the iGot2know project. Students aren’t swayed by the loss of 20 people in fires over the past year because it isn’t personal. However, the story of a senior being killed on the morning she was scheduled to deliver her child had more impact because people could identify with it. Stories People remember stories, and a great example is given in the book of Jared. Jared became the spokesperson for Subway when he lost a tremendous amount of weight through a lifestyle that included eating low-fat sandwiches from Subway. Using stories with great plots to them helps the idea, the concept, “stick” in the mind. Of course, social media is all of the rage these days, and particularly so on campuses. Facebook, Twitter, Instagram, Pinterest, Vine-the list goes on. It is difficult, if not impossible, to devote time on all of these platforms, and that is why knowing where your audience is living is so important so that you can focus your efforts effectively. Facebook. In a recent study done by the Pew Research Center, it would appear that Facebook is starting to wane among younger people, primarily because of its widespread use by an older demographic, leading to the nickname of “Mombook.” Another reason cited is the “drama” that exists on Facebook, which is leading to a shift towards other platforms such as Twitter. Social media also provides the opportunity to segment the market, focusing on specific age demographics. For example, an off-campus fire safety message isn’t as relevant to an 18-year-old freshman student as it is to a 22-year-old senior. It is important to not overlook email as a channel, as well. While there is conflicting information on the viability of email with the current college-age demographic, it may still be an effective method for getting messages to the students. “It is heavily used by retailers that are providing discount coupons or fast food offers. Instead of students logging in on desktop, they are accessing it from their phone and I think email has a place in your marketing mix,” observed Bakker. “Trying to drive them to a (school fire safety) web site is not going to happen, you have to give them the messaging in their environment where they are, in the newspaper or on the web sites they are surfing,” continued Bakker. It is possible, to place ads on the web sites that students are going to, based on where they are going online from through a process called IP targeting. Students are very much tied to their phones as communications tools and this should not be overlooked when developing a campaign. Probably the biggest evidence of the importance of mobile communications is the direction that major companies such as Facebook and Twitter are going with their products-into the mobile world. 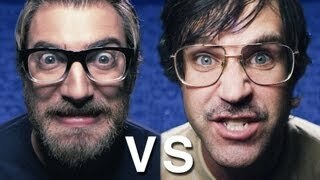 Rhett and Link are well known for their creative YouTube videos on a wide variety of topics. They use humor and creativity to send the message home. The Perfect Bathroom Trip Song is a creative way of sending a hygiene message and they have developed a cult following because of the different messages, commercials they do. Of course, everyone hopes that their video will go viral, which is rarely the case, and often when one does, it is not simply because of the video itself. “You don’t set out to make a viral video, you set out to make a good one,” said Webster. “Any such thing as a viral video, there is a well-planned, well-organized effort to get those videos seen, featured and shared, it wasn’t just chance. Typically there is a public relations campaign behind them because you have to tell people you have done it so they will then begin to share it.” She referred to the recent “Gangnam Style” video, which had a concerted public relations campaign to promote it (and is now at 1.6 billion views). 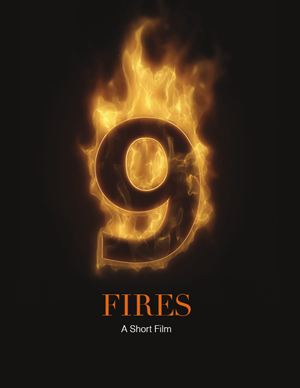 When we were making the 9 Fires documentary, it was an incredible challenge cutting stuff out. The videographer we were working with kept trying to get us to cut, cut, cut, telling us that the video was too long, but we were insistent that everything was important and had to be included. That was the problem, to us, everything was important, but he was right, not everything had to be included. The video wound up being a little over 19 minutes long, which was WAY too long. We wound up splitting it up into three chapters (on-campus, off-campus and laboratory) which helped, but in retrospect we could have done more to keep it all shorter and tighter. The issue was that we were too close to the problem, we were too invested in the project and we wanted to tell the audience everything. By doing this, however, we wound up with a video (even the chapters) that might be losing the audience just because of their length. If there are lessons to be learned from this project, they are 1) listen to the videographer or producer. He or she is not as close to it as you are and is looking at it with an independent eye. 2) Be ruthless in what you have to cut out. 3) Have test viewings and get audience feedback. Another major part of using social media is the ability to generate data, which can help in analyzing the audience and where they are getting their information. In addition to tools such as Facebook’s Insight, it is also possible to make use of Google Analytics. By embedding a small snippet of code on your web site, you are able to analyze the traffic coming to your web site, where it is coming from, the platforms people are using (mobile versus desktop) and what content they are coming to see. This can also help focus future efforts by identifying the type of content that is interesting to your audience and also where they are getting their information from. Are more people coming in from Facebook than Instagram? Are many of them accessing your information on mobile platforms? If so, is your site designed to be easily read on a small smartphone screen? By measuring engagement and activity, not just visits, it is possible to determine what is working and not working and shifting your tactics appropriately. There are different points of views on what will get this generation’s attention when trying to do a fire safety campaign. Scare tactics? Metaphors? Reality? Live events are probably the most effective in terms of impact, but have some significant drawbacks to them as well. Often you will hit a very small, audience compared to other mass media efforts such as advertising or social media, and it takes a greater amount of effort and manpower to pull them off. For example, many schools do live burns of mockups of student rooms on campuses (I have been involved in a number of these). They are fantastic learning tools and make an indelible impression on the people that watch them, but look at how many students are actually standing there watching in comparison to the entire student body? However, this effort can be leveraged by integrating it into a larger campaign involving social media, video, photographs and more. QR codes is probably one of the bigger marketing efforts that has not caught on with students (or other demographics as well). Often, when a QR code is scanned, it simply takes the viewer to a simple, static web page. In addition, the smartphone manufacturers have not made the ability to scan QR codes a native function of the phone and the user has to download an application and then launch it to do a scan, instead of simply holding a phone’s camera up to the QR code. This has helped to significantly slow the popularity of QR codes. PowerPoint. What a great way to lose your audience-students do not react well to PowerPoint. If you must use it (and think about it…are you using PowerPoint for their benefit or for yours to help you keep track? ), keep it short, do not have a lot of words on a slide and make it very visual with pictures or embedded video. Guy Kawasaki has a famous rule of thumb for PowerPoint presentations, the 10/20/30 rule. Ten slides, 20 minutes, 30 point font. Marketing is a complex field, and marketing fire safety is not an easy effort, as the many conversations I had with marketing professionals for this article demonstrated. If there is one lesson to be learned, it is to place yourself in the shoes of your audience and look at how they are getting their information and what kind of messages resonate with them. As a fire safety professional, I know (without a doubt) that I am guilty of doing many of the things that should NOT be done when trying to communicate fire safety information to students, for a variety of reasons. Failing to do message triage, is probably one of the leading cardinal sins because I feel that it is necessary to tell them EVERYTHING they need to know all at once. In that case, I might as well have told them nothing, because it probably did not stick. So, how about I distill it down to what I think are the top three lessons that I learned? Your list may be, and probably is, different based on your own experiences and knowledge about what has worked for you, so please share yours with me at ecomeau@campus-firewatch.com! Message triage. Narrow it down to NO MORE than 3 related messages, if that. If you need to tell them more, do it over time. Know your audience! Ask the students what will work with them.